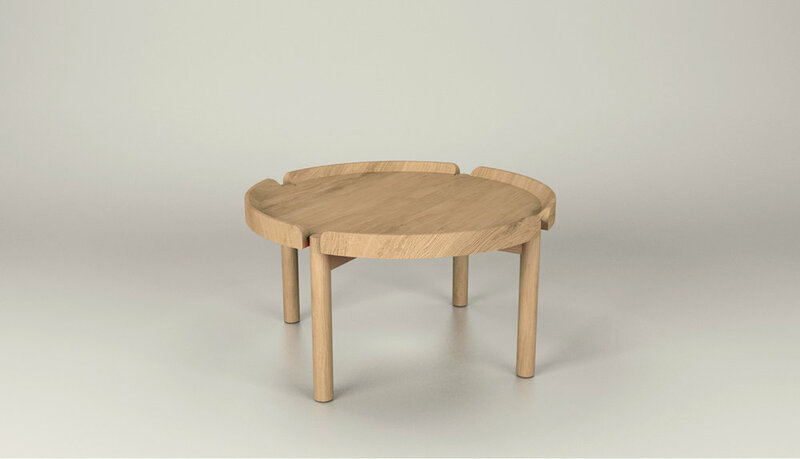 VANKKA is a family of a coffee and side table that can find their place next to the sofa, the bed or even on the top of a dining table. The design is based on the industrial technology of five axis CNC milling, allowing to create complex geometries in solid wood. The table’s soft radii and cavities underline the wood grain, being the core of the design.The refined edge and rigorous expression of its milled tabletop go beautifully with legs, giving the table a clean and minimalistic look. Available in two different heights, VANKKA is suitable for uses where durability is key concern.